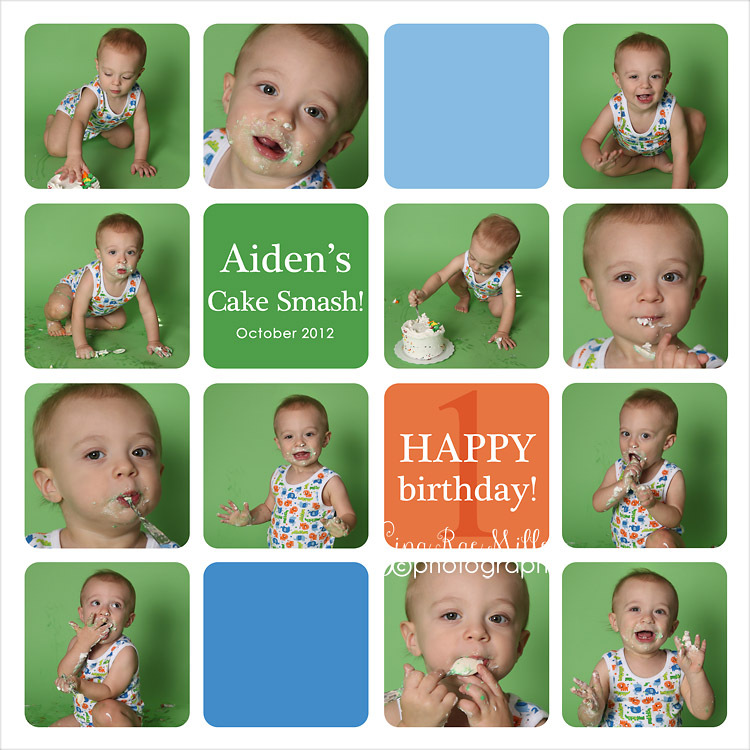 Aiden was a smiley, easy , breezy cake smash! 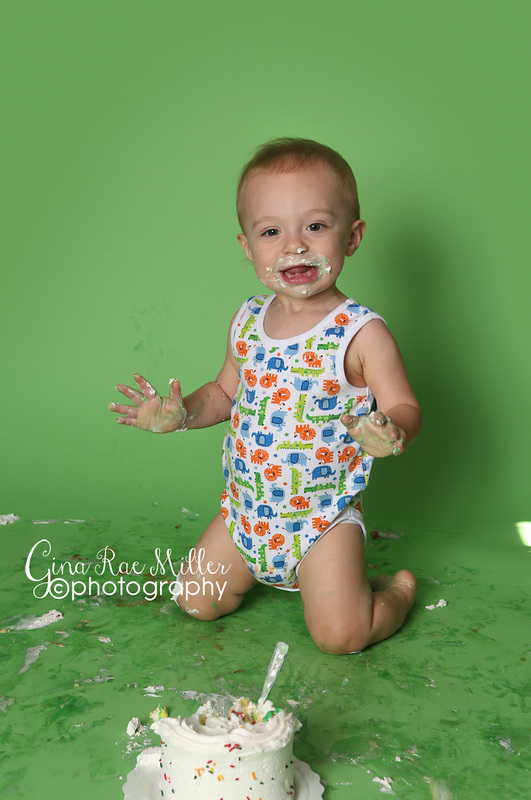 He came with Mom and Grandma and we had lots of laughs. 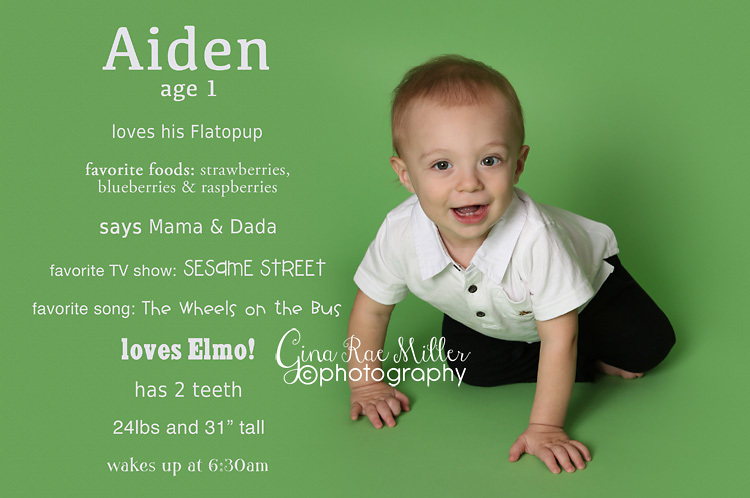 They also go into my “yet to be written, still a rough draft in my head” photography memoir as the only clients to ever request my Puggle, Sadie, come in to say hello (Mom is a Veterinarian). 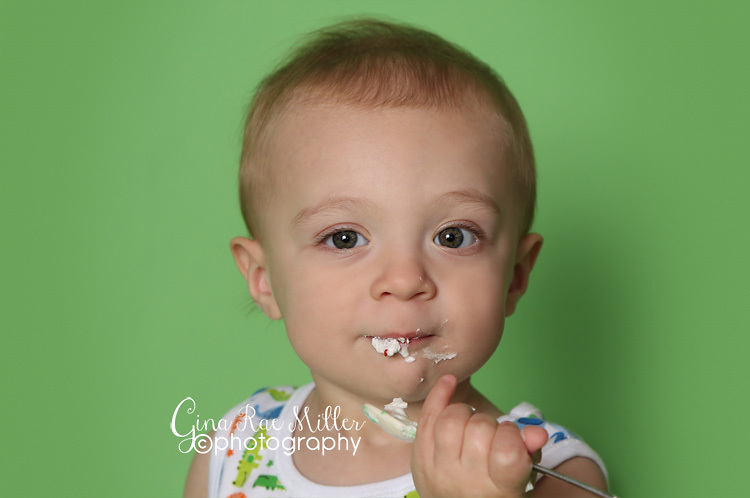 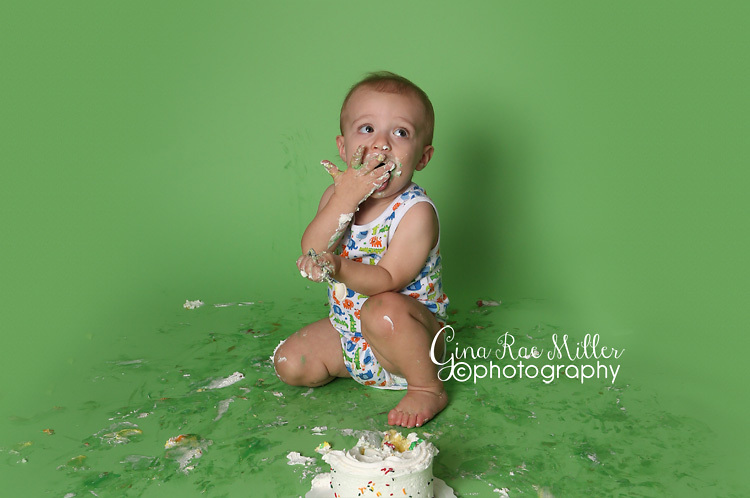 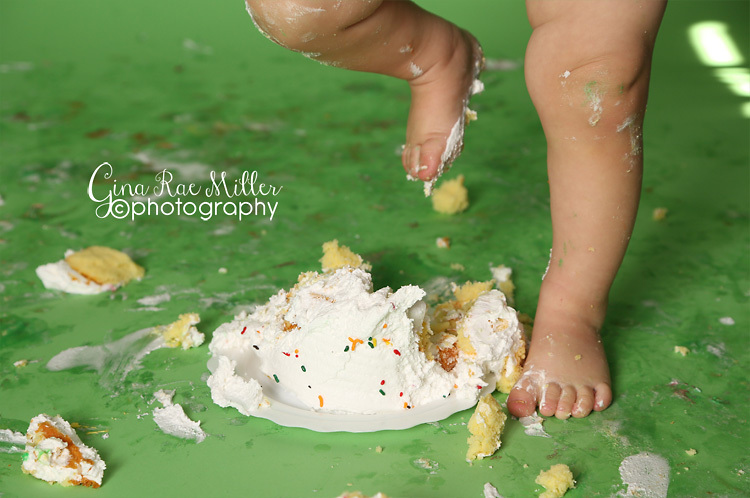 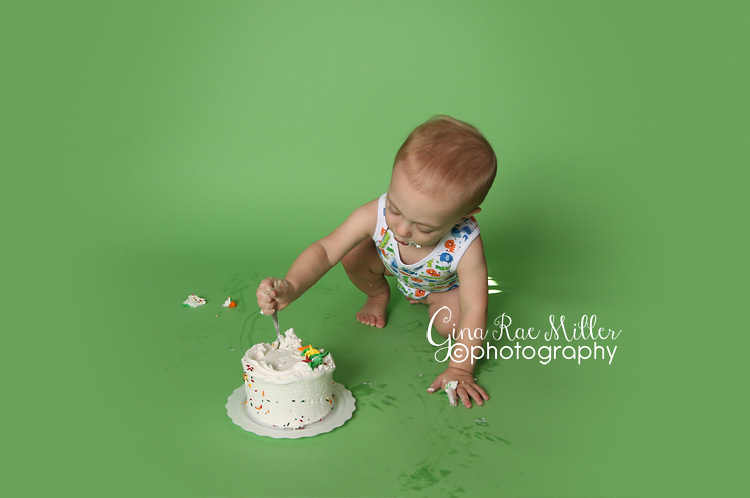 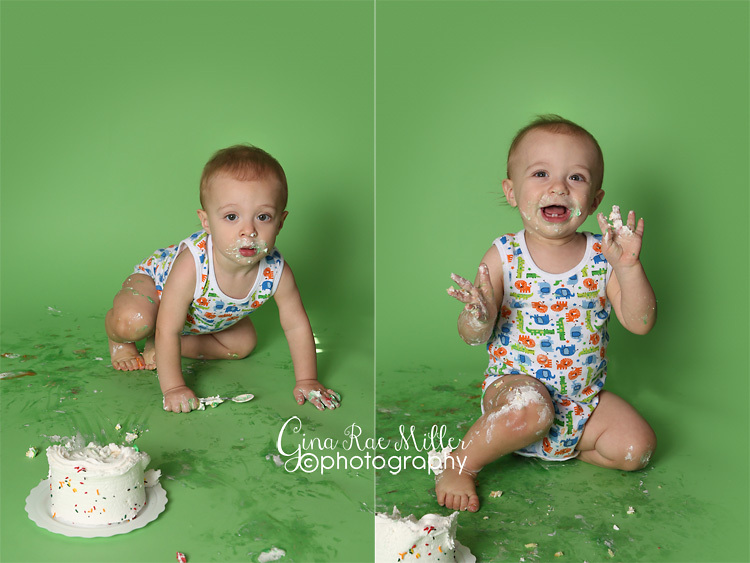 Thanks again for allowing me to capture cute little Aiden and his messy birthday cake!